Each year, Front Runners New York shares the proceeds from the race, raised from sponsors and donors, with a club-nominated charity. Over the past eight years, Front Runners New York has awarded more than $150,000 to a variety of LGBT-related, New York based organizations as the beneficiary of our annual Pride Run. Organizations are submitted for consideration and voted on by our membership. Through our 2018 Membership Survey, the Center was selected as the 2019 recipient. New York City’s Lesbian, Gay, Bisexual & Transgender Community Center empowers people to lead healthy, successful lives. The Center celebrates diversity and advocates for justice and opportunity. 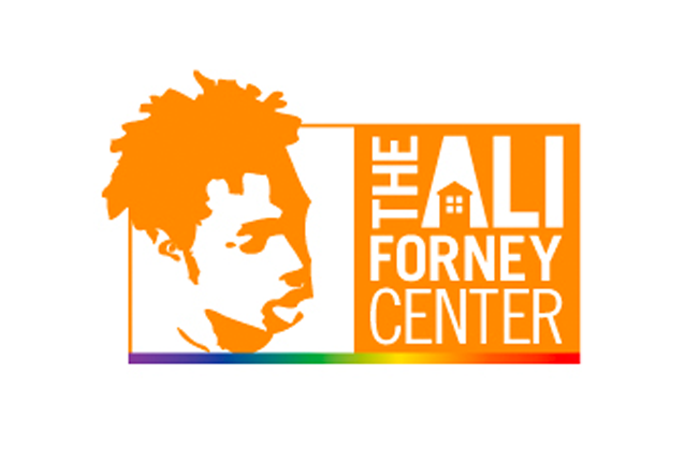 The Center fosters a welcoming environment where everyone is celebrated for who they are. They offer the LGBTQ communities of NYC advocacy, health and wellness programs; arts, entertainment and cultural events; recovery, parenthood and family support services. Want to be our next beneficiary? 1. The organization must be a 501(c)3 nonprofit organization. C. FRNY’s charitable purposes are (i) to provide goods, services and support to people diagnosed with all types of life threatening illnesses, to those who have suffered catastrophic loss, and to their families, friends and loved ones; and (ii) to actively participate in the Lesbian, Gay, Bisexual, and Transgender (LGBT) community and the amateur athletic community in order to create greater visibility for LGBT athletes and more tolerance and justice for LGBT people of all athletic abilities. a. FRNY has been formed under the New York Not-for-Profit law for the public purposes described above, and it shall be nonprofit and nonpartisan. No substantial part of the activities shall consist of the publication or dissemination of materials with the purpose of attempting to influence legislation, and FRNY shall not participate or intervene in any political campaign on behalf of any candidate for public office, or for or against any cause or measure being submitted to the people for a vote. b.FRNY shall not, in any substantial degree, engage in any activities or exercise any power in furtherance of the political purposes described above. 4. The organization is based in the New York City area or has an office or chapter in New York City. 5. Preference will be given to organizations who have not previously been a Pride Run Beneficiary. To express interest in becoming a beneficiary of the FRNY LGBT Pride Run, please email priderun@frny.org.